Are you looking for a HUD Subsidized Senior Housing in North NJ? First Montclair House is a lovely 131-unit apartment building that provides HUD Subsidized Senior Housing in North NJ. First Montclair House is a warm, friendly and caring senior community residence whose mission is to offer our senior citizens great living at an affordable price. We have full time social service, activities and maintenance staff that provide comfort, convenience, fun and safety for our residents. Our building, grounds and accommodations are designed with accessibility in mind. First Montclair House is Smoke-Free HUD Subsidized Senior Housing in North NJ owned by a private, non-profit organization established to provide safe and affordable apartments for eligible senior citizens. To speak with a representative about availability of HUD Subsidized Senior Housing in North NJ, call First Montclair House at (973) 746-0895. First Montclair House – your trusted HUD Subsidized Senior Housing in North NJ. Are you looking for Senior Housing in North NJ? First Montclair House is a warm and friendly 131-unit apartment building, offering HUD-subsidized Senior Housing in North NJ, in the town of Montclair in the heart of Essex County. Many of the places around the Internet that advertise low income housing for seniors have listing of senior apartments, condos, and shared facilities that can help a lot. Some websites though just have those words on them and it is hard to find any information at all about real low-income housing from those sites. There are some active senior communities which have special deals in place for people who are seniors to buy homes there. They are in fact; low cost as far as the amount of interest you would have to pay on a mortgage to live there. But that doesn't help much if what you are looking for is small apartment that you can afford on your social security check. when you are looking for information about age-restricted apartments online, check to make sure that they are low rent. Some of them are low income housing for seniors and some are just regular apartments that were built with a special type of building loan from the government which comes with a requirement that they be rented to seniors. At First Montclair House, we are a senior community residence whose mission is to offer our senior citizens great living at an affordable price. 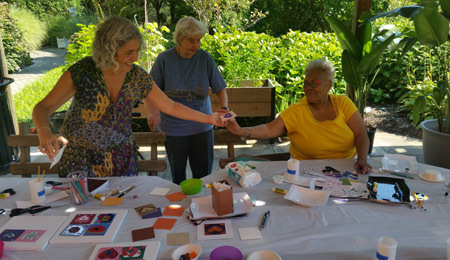 We offer daily activities directed towards the interests and needs of our residents. Residents can garden in our Courtyard, enjoy a movie in our Community room, participate in an exercise program, and more. 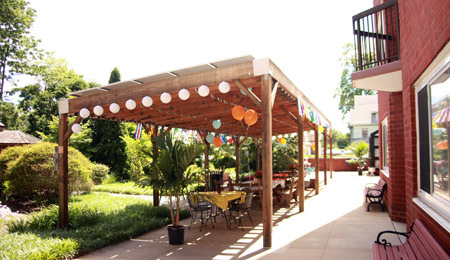 First Montclair House is also only a short distance from the arts, culture, and cuisine of Montclair’s vibrant downtown. More so, at First Montclair House, we offer daily trips around Essex County for shopping, dining and other activities and extended trips to places like Washington D.C., the Poconos and more. First Montclair House understands that our residents are entitled to a community that treats them with the respect and compassion that they deserve. To speak with a representative about availability of our Senior Housing in North NJ, call First Montclair House at (973) 746-0895. 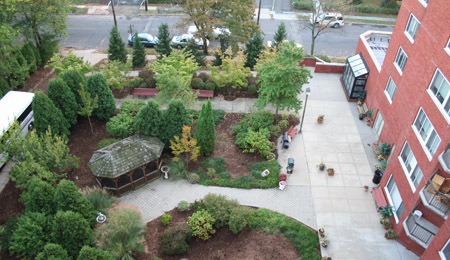 First Montclair House – your trusted Senior Housing in North NJ.